The popular conception of sharks is that they're these mindless killing machines, perpetually on the hunt for the next victim. But a new study shows that in at least one species, individual sharks possess different personalities — whether they be mopey loners or social butterflies. Top image: A lemon shark: Greg Amptman/Shutterstock. Scientists who study animal behavior define personality as a repeatable behavior across time and contexts. Clearly, personalities exist in animals, but they're usually described by individual characteristics such as how exploratory, bold, or aggressive an individual is, and how these traits change over time. What's more, scientists study how individual preferences and tendencies can be influenced by the interactive social strategies of individuals. But strangely, sharks have never really been tested for their social skills. Owing to new research, however, it now appears that sharks are indeed no exception. Researchers from the University of Exeter and the Marine Biological Association of the UK (MBA) have shown for the first time that individual sharks actually possess social personalities that determine how they interact with group mates in the wild. To test for social personality, the researchers recorded the social interactions of groups of juvenile small spotted catsharks (Scyliorhinus canicula) in captivity under three different habitat types. These sharks are found throughout the northeast Atlantic and Mediterranean and they like to group together by resting around and on top of one another near the bottom of the seafloor. Is this spotted catshark a loner or a social butterfly? Credit: Susana_Martins/Shutterstock. We found that even though the sizes of the groups forming changed, socially well-connected individuals remained well-connected under each new habitat. In other words, their social network positions were repeated through time and across different habitats. These results were driven by different social preferences (i.e social/antisocial individuals) that appeared to reflect different strategies for staying safe. Well-connected individuals formed conspicuous groups, while less social individuals tended to camouflage alone, matching their skin colour with the colour of the gravel substrate in the bottom of the tank. So some sharks were found to be gregarious and with better social skills, while others were loners, preferring to remain hidden in the background. More sociable sharks stayed safe from threats by remaining within a large group, while less sociable individuals were compelled to use camouflage to blend into their surroundings. "In the wild these small juveniles can make easy prey items for larger fish, so different anti-predator strategies are likely to have evolved," added the University of Exeter's Darren Croft. "More research, however, is required to truly test the influence of predators on social personality traits in sharks. This study is the first step in that direction." Indeed, the study was limited to one species of shark. 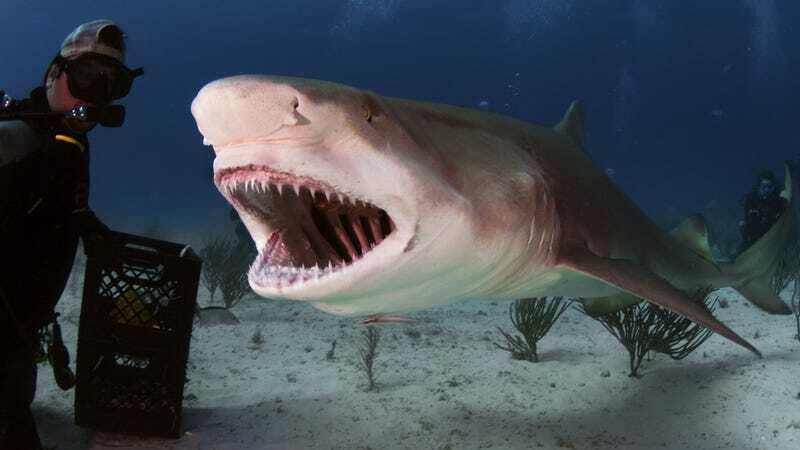 But as the BBC pointed out, there may be some overlap with work being done on lemon sharks by Jean-Sebastien Finger, a PhD student at the Humboldt University in Germany. His research has found "strong preliminary evidence" for consistent differences in lemon sharks. He told the BBC that it would be good to compare the two species. Also, it's worth pointing out that this was a captive study. While it gave the scientists an opportunity to manipulate and control their experiments, the ensuing behavior may not have been entirely indicative of wild sharks. Read the entire study at Behavioral Ecology and Sociobiology: "Shark personalities? Repeatability of social network traits in a widely distributed predatory fish."